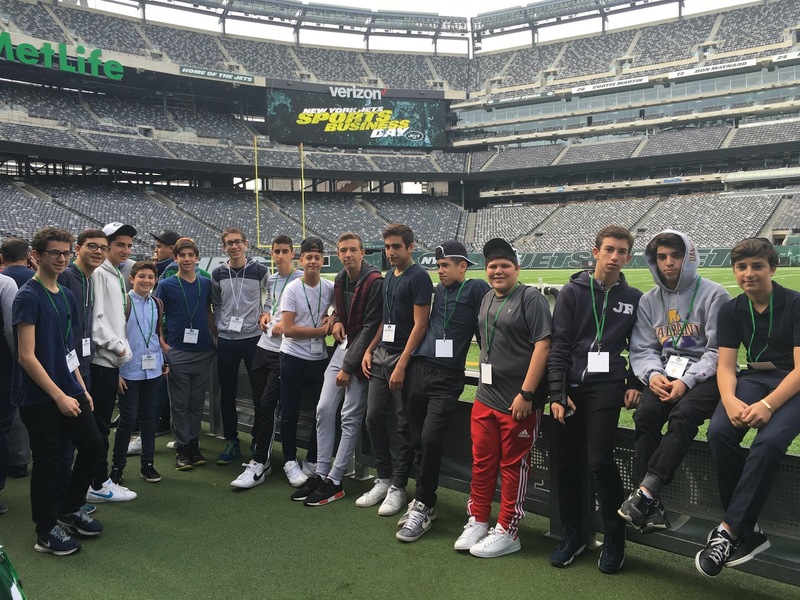 Earlier this year a group of Yeshivah of Flatbush students, chaperoned by Ms. Doris Anteby from our Pathfinders Program, attended The 2nd Annual NY Jets Sports Business Day. 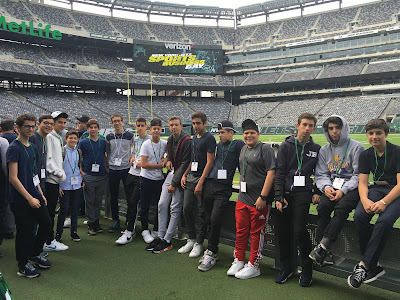 The day was about meeting different professionals that work in a sports franchise and getting a behinds the scene look at MetLife Stadium in New Jersey. The students had the opportunity to hear presentations from several Jets business executives during their interactive tour, including the marketing, sales, partnerships, finance, hospitality, and customer service departments. Each presenter spoke about their personal path that lead them to the Jets family. They spoke about their college majors and the jobs that lead them to work in the sports field. They each outlined what their daily tasks and goals are working in their specific field for the Jets. The day was a great look at the many opportunities there are in the sports business arena and how it all comes together each week when the team plays.